Dana was great and has lots of experience. She is always available to show a house it seems, especially on nights and weekends. We looked at about 7 or 8 houses, but I really liked the third one I saw and ended up going with it. I’d recommend her to anyone looking for a realtor. I was a first time home buyer and am very happy with the house I got in Kenner and what I paid for it. She also put me in touch with a great mortgage broker at Premier Lending. We needed to buy a hot property in a red hot market, and Dana made it happen! She completed our bid paperwork at 10:30 pm, and the purchase agreement was signed by all parties by 1:00 pm the next day (including one person who was physically out of town)! The act of sale was completed the following Thursday. AMAZING!! We would recommend her to anyone looking to buy, sell, or rent. Dana is such a true professional with a very personal touch. We were moving from out of state, and she did an excellent job helping us to select 11 homes we were going to see on the weekend we were in town. She spent the entire day with us and helped us navigate the market. When we found our dream home she helped us to make the best offer and counter offer. She was there for the home inspection in our absence, and went above and beyond. I would definitely recommend her to our friends and family. Dana is such a valuable resource for me. Not only has she found quality tenants for me more than once, but she does it so quickly! Further, being a new landlord, I don’t really know the laws, or how everything works. Dana is always there to answer my questions and give me solid advice. When I have a need, Dana takes care of everything – I don’t have to do a thing! In the near future, I will be placing my condo up for sale, and I wouldn’t think of anyone but Dana to take care of that whole process for me. Being a Broker/Agent myself in another state I can honestly say that Dana provided great customer service. She has excellent market knowledge and great negotiation skills. Dana is a true professional and brings years of experience to her clients. She was a joy to work with me and I will not hesitate to refer my clients, friends and family to her. Dana showed her effortless expertise as a real estate agent with us as she sold our house in a brief 2 week period!!! We were very impressed! She knew exactly how to evaluate our house and how to price it. Second nature to her! Best realtor ever! Very prompt in setting up appointments and finding a property that suits your needs. She listens to what you want. She will even check out a property for you first to see if it’s even worth your time to go see. You can reach her any time. She is very friendly and honest and knows how to negotiate a great price. You can tell she is on your side 100%. She is the only realtor I would ever want to use…EVER. Yea, she is that good. You can’t go wrong with choosing her as your realtor. I had been working with Dana for a little bit. One day Dana was out and about placing a sign for another agent when she saw this house and texted me that she found my house, and I needed to see it ASAP. The next day we set an appointment and saw house before their open house and wrote offer all the same day. Dana was correct in knowing exactly what I was looking for and needed the whole buying experience painless. Dana listened to my needs and wants and is truly a great agent!!!!! It was a pleasure working with Dana from start to finish. Dana was always accessible, as well as helpful and knowledgeable. Communication and negotiations were also handled very efficiently and professionally. Dana did a great job. She sold my house in 1 month. She set up a nice add on the web sight to display my house which increased the volume of people looking at the house. She worked well with my wife and I, setting the house up to show. I would highly recommend Dana as your realtor. Dana helped us list our house after we had it for sale by owner for 3 months. She takes professional pictures and also included it on the Realtor tour of the month. Our house went under contract in 2 days! She is always ready to answer any questions and really knows the New Orleans Real Estate market. She was wonderful and walked us through the entire process. If you are looking for an agent, she is the one, without a doubt. I had an unusual title problem with the purchase of my condo. Dana was very helpful with the negotiations and looking out for my interests. Dana previously sold my home. She was very knowledgeable about the inventory of homes in my area. This resulted in a full price offer after 8 days on the market! I moved to Colorado and needed to sell my house in Metairie. Dana did the extra work to make it happen (finding/meeting contractors, etc), kept me informed, and offered smart input on decisions. I couldn’t have done it without her. I highly recommend her as a trustworthy, active, professional, and a nice person. She exceeded my expectations of what a realtor can do. It was a real pleasure working with Dana. She was dealing with myself, and my 3 siblings, and kept all of us in the loop, daily. It was steady contact from the day we signed with her. What I liked is she respected our decisions and backed us during negotiating the sale. I would definitely sign with her again on any future sales, and also suggest her to any of my friends. We had a listing contract for only 4 months with Dana and within 2 1/2 months into the listing we had a buyer that was approved and went to closing by the end of the 3rd month of the listing. Could not ask for more than that. Dana was very patient with me and helped put my mind at ease during the home buying process. I had a lot of stops and starts while looking for my new home and Dana was great and stuck with me until the very end. She was very knowledgeable about the different areas of Jefferson Parish, which was extremely helpful since I haven’t lived here very long. She was also very easy to get in touch with. Anytime I had a question or concern I would always get a quick reply. I would definitely recommend her to anyone looking to purchase a new home, especially first time homeowners. Dana has assisted me in selling two homes in the last couple of years. She brings not only her expertise and professionalism but her personable service. She goes and beyond!! My husband and I have used Dana Bennett for the last 16 years. She is knowledgeable, professional and NO ONE will fight harder to get you the house you want, at the price you want! She took us step by step through the entire process of buying and selling two homes. I would highly recommend Dana for all of your real estate needs. Will definitely use her again! Dana represented my elderly mother on the sale of her house. I cannot say enough about how wonderful it was to have her! From the moment we met (and immediately hired her!) she did EVERYTHING for us. Not only did she have beautiful photos taken, set up a lovely listing, show, and negotiate for the sale of the house, but she also hired the needed contractors, made sure the work was done, explained everything to my mom while also keeping my sister and I informed of everything during the process. We were quickly under contract and closing was smooth and painless. Dana was wonderful to work with. She dealt with all of the details so we wouldn’t have to. Her knowledge on on pricing was so very helpful. She knows the market and is very professional. I would recommend Dana to anyone looking for a realtor! Dana was an exceptionally great realtor to work with. She assisted my fiance and I in finding our perfect home after many months of searching. She was available whenever we needed her and was so flexible. She made the home buying process very easy for us. I would recommend Dana to anyone looking for an awesome realtor to buy or sell their home. Dana is an amazing agent. This is the 2nd house she assisted me in purchasing. She knows her real estate. Dana does her best to get you exactly what you want at the price you can afford. She knows when you walk into a house if I t is a “solid” house or a “dud” so to speak. I absolutely love working with Dana and would recommend her to help you find your dream home or sell your home. She sold mine a year ago and did a fantastic job with it as well. Dana is a first class pro. She listens to her buyer and previews houses to make sure they meet her buyer’s criteria, so that they selection process is efficient. During the entire buying cycle Dana lends her expertise to ensure the process is as smooth as possible. I was named Executrix of an estate, which included a residential home. Dana was extremely knowledgeable on pricing the house and helping me negotiate with potential buyers. Within 45 days of listing, the house was under contract and closed. She also has access to Pest Control, Roofers, painters and any repairs people you may need. This made my job so much easier since I resided 60 miles from the property. She contact each contractor and had them handle the repairs, after I had given written authorization and approved the estimate. I would not hesitate to use her again. Dana just helped us got a great house. Dana has the fastest updates of new lists. She is very helpful to suggest about house value and any work that needed. She is honest and super nice. The best agent in NOLA. I liked Dana from our very first meeting. She is very pleasant with a go getter attitude. She is very knowledgeable. In the worst of situations she kept her cool and handled everything. She is the best realtor I have ever had. She has the experience, integrity, and is just a good person. Great agent and service! My fiance and I were buying our first home, and it took us 8-9 months. Dana was with us every step of the way, showing professionalism, knowledge, and patience. With her experience, she gave us valuable and solid information about the homes and areas. She never pressured us in to a home and never forced a sale on us either. We had toured many homes. We entered a home at the higher end of our budget but was a few blocks from several duplexes/quadplexes, which I missed when I drove around the area. When we met, Dana pointed this out to me, since she knew I wanted to avoid areas with rentals. Yet she was more than happy to write us up on an offer for a home at the lower end of our budget. That speaks volume! My point is: Dana works for you and does not maximize profits on you. She understands home buying is a big purchase and commitment, and she ensured we were completely happy, satisfy, and comfortable with our purchase. I will definitely refer her to all my peers and seek her out for future real estate transactions. A wonderful agent to work with! Thank you! Ms. Bennett did an outstanding job for us throughout the entire purchasing process. Being a military family and looking for homes while outside the state we were buying created additional challenges that Dana helped us navigate through. She was always available; EXTREMELY responsive to phone calls, texts, and emails; and answered all of our questions. Throughout the entire process, I always felt well informed, given great advice, and taken care of. I highly recommend her as an agent and she will have our business again should the need arise. Dana is amazing! She helped me sell my house and downsize into a condo at the same time on the same day. She’s super friendly, knowledgeable, and kept my calm and updated through everything. If you need a realtor I would highly recommend her! Had listed my property twice before with two different agents and had no success at all. Both agents stuck a sign in the yard and that was it. Dana marketed the property had numerous showings ( this was a difficult property to sell) and stayed with it until the right buyer came along and a deal was made . She worked through all phases of the sale until it was completed ( inspections , surveys appraisals and showings) . Would I recommend her or use her again ? ABSOLUTELY! Dana is wonderful. She assist me and my family find the perfect home for our family. She there for you whenever there’s a question or concern. Dana made our process easy and non stressful. Dana rocks!!!!!!!!!!!!!!!! Dana Bennett treats her clients like family. She has your best interest at heart and works to make sure everything is done professionally and correct the first time. Overall makes the home buying and selling enjoyable and profitable. Dana was Amazing! She made me and my wife’s first home buying experience so easy. I wouldn’t have wanted anyone else to have helped us thru this process. I highly recommend Dana for anyone looking for a home! recommend Dana for buying or selling your home. Dana was masterful! She guided me through my first home buying experience with perfection. I was interested in buying a popular home in a seller’s market, which might have scared some agents. Not Dana! She knew the right questions to ask and how to write the perfect offer. She was knowledgeable during my inspection period and can write up an extension on short notice. I’m living in my home now and she has continued to go above and beyond for me. 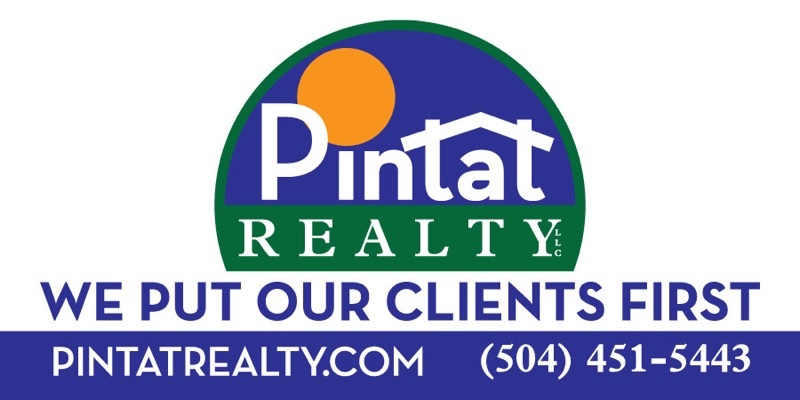 I highly recommend Dana Bennett as your next real estate agent. Dana put her exceptional knowledge and experience to work for us and was always kind, patient and willing to help. She used a brilliant negotiating tactic that landed us the house we wanted. She truly cares about her clients. We highly recommend her. Very knowledgeable. Provided us a weekly update throughout the entire process. Was extremely helpful from beginning to end from recommending a selling price, telling us what she thought would happen when offers began to come in. She was spot on throughout the process. Highly recommend her and will definitely use Dana with future needs. Dana is wonderful to work with and went out of her way to get the deal done. She was my agent when I bought my house and my agent when I sold it. Will never use anyone else. Dana is, in a word, wonderful. She helped us navigate the New Orleans real estate market, and did so efficiently and effectively. If I were to put together a list of what a buyer’s agent should exude, Dana would be a perfect fit. She made herself available at times convenient for us, and was able to obtain our preferred showing times for each property we desired to view. When we finally made an offer on a condo property that needed major renovation, she told us what to expect without influencing our offered amount. Ultimately, we did not buy that property. However, we made we viewed and made an offer on a home in our neighborhood. We initially made an appointment to view our new home in the LGD on a Saturday afternoon. Due to incoming weather, Dana pushed the listing agent to allow us in much sooner. As we were walking over to view the house, the rain was doing its best to flood our streets. We were the first to see house, and made an offer. We sat in Dana’s car, while she hand wrote the contract. She suggested a short turnaround time for the sellers, so we could get a jump on the market. The accepted, and we went under contract. Since it was raining so hard, and tenants were still moving out, we didn’t get a chance to inspect the outside. The home inspection revealed significant damage that needed repair. Dana was able to use that information to obtain the financial concession we calculated as necessary to repair the house. The rest, as they say, is history. We closed not long after, and are looking forward to renovating our home. If you want an outstanding buyer’s agent, then look no further – Dana is your Realtor. Oh yeah, if you are as lucky as we are, you might get a great friend too! I had tried to sell my office condo on my own, with not even a nibble. Dana had me an offer in about a month. She also was great at keeping on top of the sale from start to finish. Highly recommend her . I had Dana for this purchase. She is kind, smart, knowledgeable, and was willing to work hard for me when I really needed it!! I give her the highest recommendation possible!! Dana was wonderful to work with! She knew so much about the area and is very knowledgeable in real estate! Dana knew average costs of renovations off the top of her head and could recommend people she has worked with in the past. She answered all of our questions quickly and helped ease our anxiety about buying our first house. I can’t say enough amazing things about her! She’s awesome!